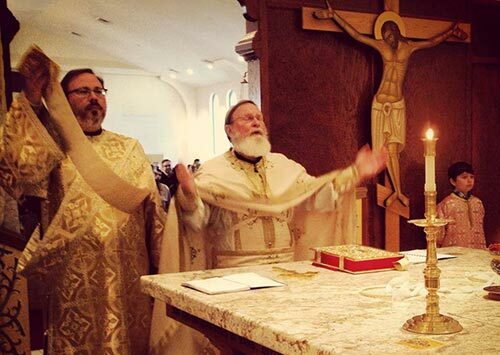 Again this year Orthodoxy Sunday Vespers will be prayed at St. Barbara Greek Orthodox Church in Durham (8306 NC Highway 751, Durham, NC 27713) at 5:00pm on March 4th. There will be a light Lenten meal following and a free-will offering for IOCC. All Orthodox faithful in the Triangle area are encouraged to attend. Please note that our annual voters’ meeting has been rescheduled from November13th to December 4th. At the annual meeting, we will approve the church budget for 2012, elect 2 new parish council members, and approve the annual reports from our standing committees. Please mark your calendars and plan to attend. The Consecration will now take place on the weekend of November 5 and 6. We would like our entire membership and all our friends to be present. This date will also mark the celebration of St. Raphael of Brooklyn whose relics will be placed in our new altar during the Consecration Service. Church School and Adult Class Are Now in Full Swing. Please come and study your Orthodox Christian Faith. Classes for Preschool thru Adults.